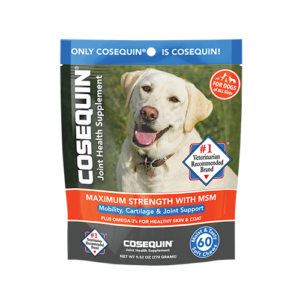 Cosequin® Advanced offers joint health support PLUS vitamins and minerals in a once a day tasty chewable tablet. 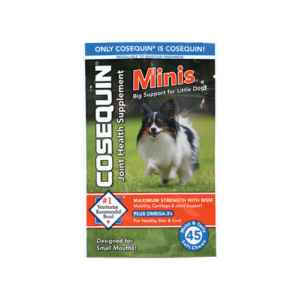 If you are giving your dog a multivitamin/mineral and a joint supplement, Cosequin® Advanced may be right for you and your pet! 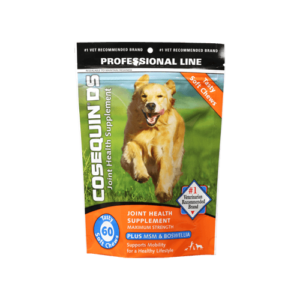 Cosequin® Advanced contains FCHG49® Glucosamine Hydrochloride†, TRH122® Sodium Chondroitin Sulfate†, PLUS vitamins and minerals. ▲ Reported on a hydrous basis. 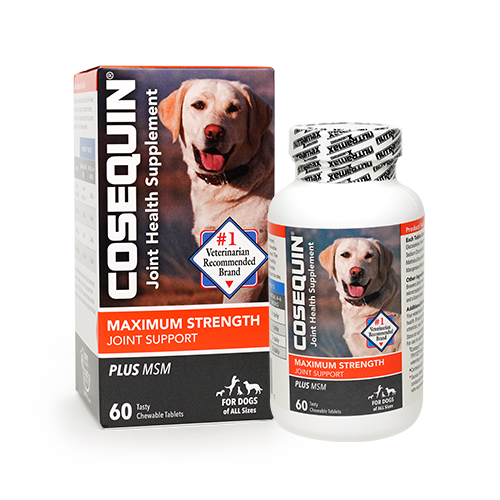 My 10 year old Maltese has been taking this for years now. 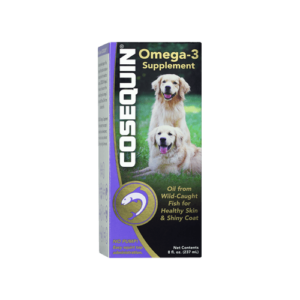 In fact, I switched between Nutramax 30 Count Cosequin and Cosequin DS Chewables Plus MSM 60ct, and both work perfect. 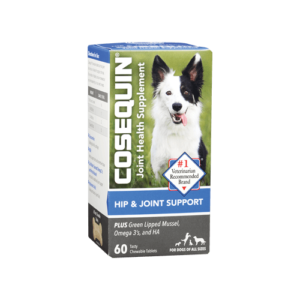 When he was a lot younger, he had a knee problem. The vet said the surgery was expensive and there was a 50-50 chance. 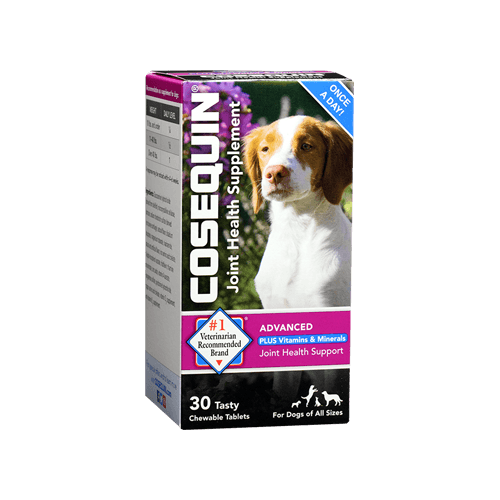 He was on the supplement since then. Now he has no problem with his knee at all. Even the vet said so! 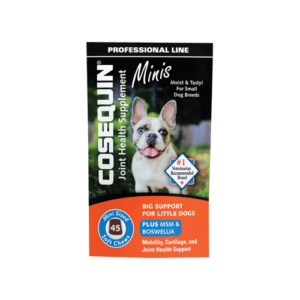 I will for sure continue giving him Cosequin. Our 10 year old Husky mix was ha ing trouble getting into bed. I bought her stairs, which helped, but she was still a bit shaky. Decide to try this and I noticed some improvement within a week, but after two, she was happily walking up the step with no trouble. She is also taking longer walks and ecem running which she had almost stopped completely.